Hi Peeps, I spotted somewhere, and of course have forgotten where, some one uses a pen to draw a background hazard pattern. 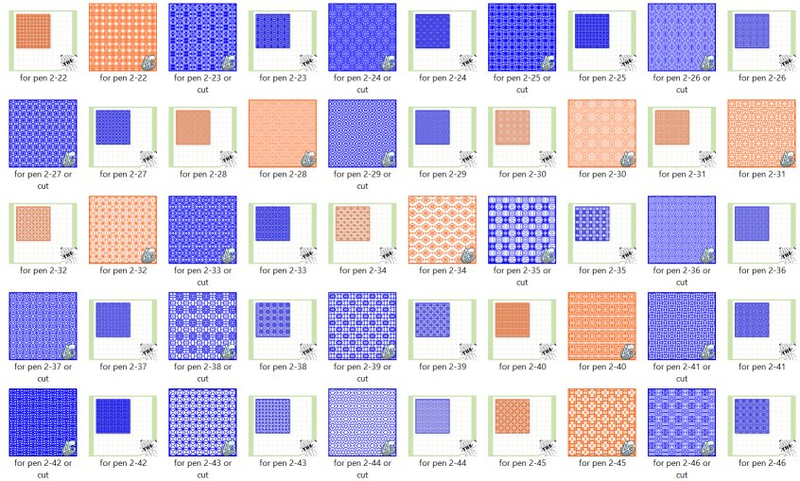 Reminded me of some hazard patterns I had been working on a while ago and thus brought them up to speed. The orange ones are pen only but could be cut with a few parts dropping out which is why I put them in orange. The blue ones can be cut or pen whichever you prefer. 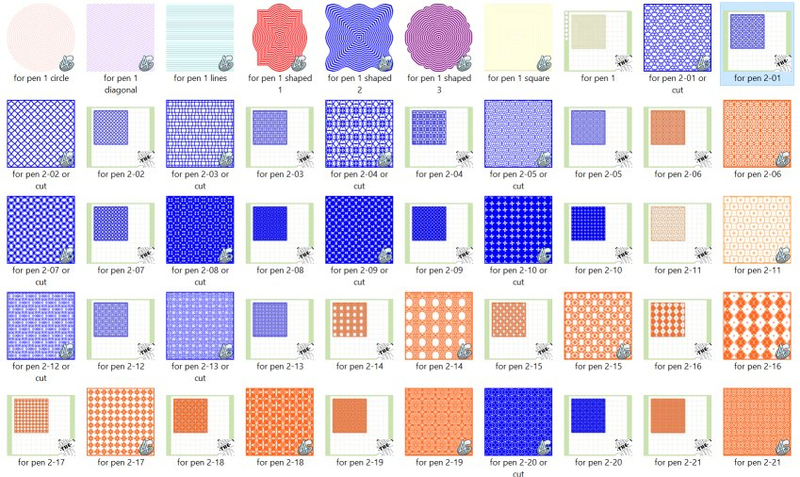 I also did six simple patterns which can be resized to your purpose. Anyway here are the pics and the link. You will find them under Frets/for pen. Link below in my signature. Archimedes. As always, thank you SO much for sharing your talent with all of us! Oh so neat! Thank you again! Very very cool. You are so talented.